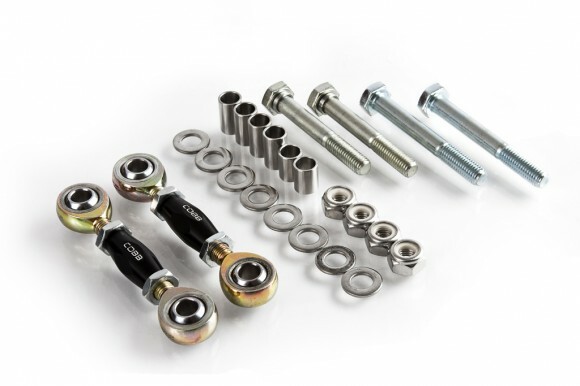 Cobb Tuning – Adjustable Endlinks For 2008+ STi! COBB Tuning Adjustable Rear Antiswaybar Endlinks for the 2008+ STI are threaded to easily remove all preload from the bar and provides consistent handling balance in right and left turns. The construction of these endlinks start with carbon steel bearing rod ends utilizing a PTFE (Polytetrafluoroethylene) self lubricating corrosion resistant coating. The CAD designed and CNC machined spindles are 6061-T6 aluminum and hard anodized for a long lasting finish. Our endlinks were designed and assembled in-house for optimal strength, performance and durability. Adjustment is as easy as loosening the jamb nuts and turning the spindle to lengthen or shorten the endlink while installed on the car. Cobb Tuning – Evo Xs Get Hosed! 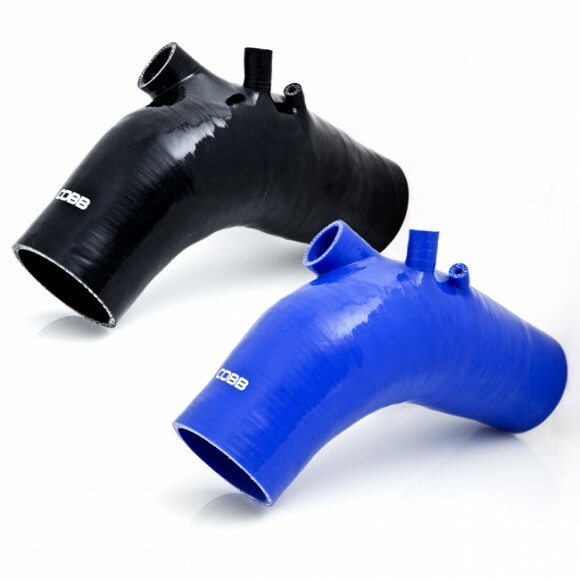 COBB Tuning announces the immediate availability of the 3” FP Turbo Inlet Hose for the Mitsubishi EVO X. The COBB Tuning 3” FP Turbo Inlet Hose is designed for use with Forced Performance 3″ turbo compressor inlets. The bulge design of the COBB Inlet Hose increases the cross-section to 3.5” to maximize air flow delivered directly to your 3″ Forced Performance turbocharger, providing much more efficient power and response. The smooth inner walls of the COBB Turbo Inlet taper gradually at both ends and reduce the air turbulence that occurs in the factory accordion style inlet. The COBB 3” FP Turbo Inlet Hose is constructed using four plies steel-reinforced silicone, eliminating the issue of hose collapse that other inlet pipes suffer while under suction at peak demand. While the steel reinforcement provides excellent stability, the silicone allows adequate torsional flex, allowing engine movement on the OEM engine mounts under hard acceleration without risk of separation. Available in COBB Blue or Stealth Black, this system uses all factory fittings and clamps. Presenting the COBB Limited Edition 3” SS Cat Back Exhaust for the Mistubishi EVO X. This direct replacement cat back exhaust boasts 304 stainless steel construction, a custom high-flow straight-through muffler design and impressive exhaust note. Limited to a production run of just 50 units, this beautifully fabricated exhaust will not be available for long. Significant attention was devoted to the packaging of this exhaust. Tubing diameter was increased to 3″ and bends were kept to a minimum with large radii for optimum flow characteristics. Fitment was extensively worked to ensure maximum ground clearance to accommodate cars with very low ride heights. Designed as a direct replacement for the factory cat back exhaust, it uses all of the stock mounting points and is compatible with the factory cat pipe as well as the previously released COBB High Flow Cat Pipe. The unique muffler in this exhaust is custom designed for this application and features an internal ”Y” to provide maximum straight through flow from a transversely mounted muffler. This design allows much higher flow rates than typical EVO X chambered transverse mufflers which significantly increase backpressure and limit total power output. Potent performance need not attract the attention of over-zealous law enforcement. Despite the superior flow characteristics of the, it still conforms to strict SAE sound emission requirements of 95 decibels, even when paired with the COBB EVO X Downpipe and COBB EVO X Cat Pipe. The twin oval tips are positioned to mimic the factory set-up and follow the lines of the rear bumper cover, giving a purposeful yet subtle look. 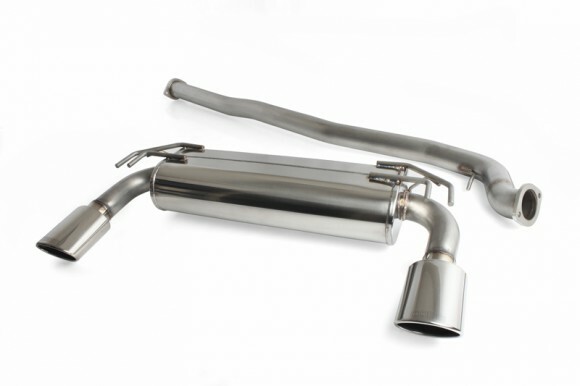 The COBB Limited Edition 3″ SS Cat Back Exhaust for the EVO X offers unmatched performance, OEM fitment, innovative engineering, outstanding craftsmanship and 50-state legal sound compliance. 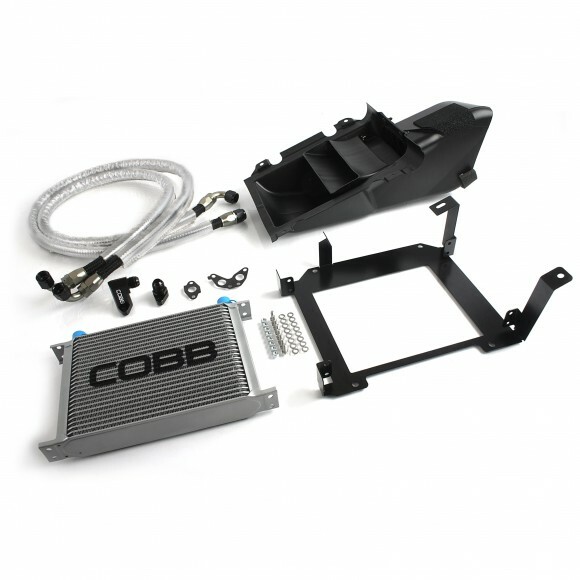 COBB Tuning announces the availability of the Limited Edition Secondary Oil Cooler kit for the Nissan GT-R R35. The COBB Secondary Oil Cooler reduces high engine oil temperatures that occur during extreme driving conditions. This kit utilizes an auxiliary oil cooling core that seamlessly integrates with the OEM oil cooling system, significantly reducing oil temperatures without compromise. Whether pounding around the racetrack or canyon carving during blistering heat, the COBB Secondary Oil Cooler lets your GT-R keep its cool. Additional horsepower, high ambient temperatures, high altitude and aggressive driving can all contribute to elevated oil temperature. Lower oil temperature ensures better engine protection and longer engine life. Extensive racing and testing data shows that the COBB Secondary Oil Cooler is capable of reducing oil temperatures from extreme peaks of 130C/266F (OEM redline) to acceptable operating temperatures in the 110C/230F range. This elegantly engineered kit sits opposite the OEM oil cooler in the unused driver side bumper duct. The design is optimized to work with the OEM oil cooler duct, which is included in this kit. Oil flow return from the OEM oil cooler is diverted to the COBB Secondary Oil Cooler for an additional oil cooling stage before being redirected back to the OEM oil return. Execution of the COBB Secondary Oil Cooler kit leaves nothing to be desired. A Mocal air-to-oil core is used for efficiency and durability. The core is mounted to the chassis using a custom CAD designed powdercoated bracket that is designed to work with the included OEM oil cooler duct. The adaptor fittings are custom CAD designed and CNC machined aluminum with black anodizing. All hose ends are high quality aluminum -10 AN fittings with an attractive black and titanium anodized finish. Hoses are preassembled using smooth bore, lightweight synthetic rubber interiors with black nylon overbraid and encased in XRP Fyrefoil 2 radiant heat shielding for additional thermal resistance. The replacement gaskets are Nissan OEM parts. The Limited Edition COBB Secondary Oil Cooler for the Nissan GT-R R35 is the most comprehensive solution for managing engine oil temperature. Install a COBB Secondary Oil Cooler on your GT-R R35 and drive at the limit without distraction. 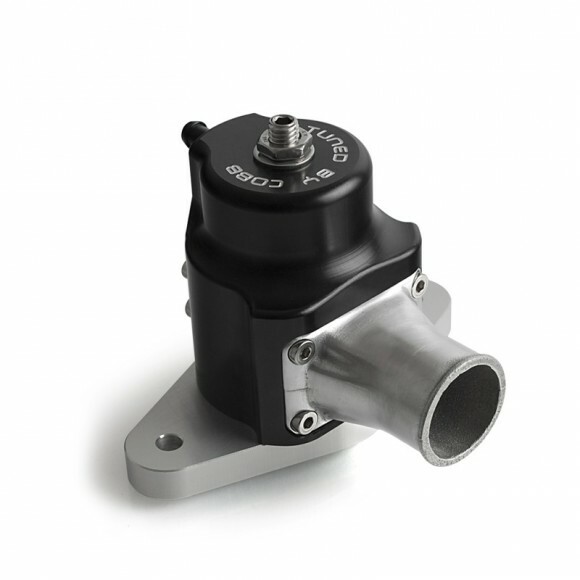 COBB Tuning announces the availability of the XLE Blow Off Valve (BOV) for turbo equipped Subarus and the MAZDASPEED3. The COBB XLE BOV can be configured to operate in multiple modes using simple hand tools. Innovative engineering and precision manufacturing result in a compact package capable of holding high levels of boost consistently and reliably. The COBB XLE BOV can operate in one of three modes with simple adjustments. Full recirculation is achieved by plumbing the primary output back into the intake pre-turbo with the auxiliary port closed. 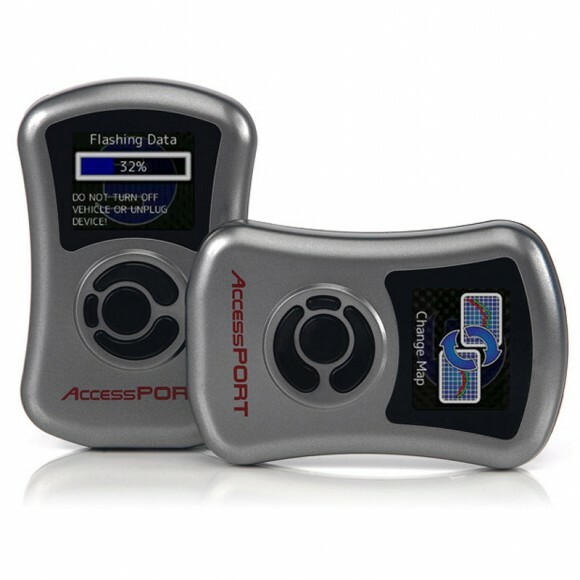 Full atmosphere is possible by opening both the primary port and auxiliary port to atmosphere. A hybrid mode is also possible by pluming the primary port into the intake and leaving the auxiliary port open to atmosphere, causing much of the air to recirculate to retain driveability, while still creating an audible exhaust of some of the boost pressure. Spring preload determines the pressure differential across the BOV piston required before the BOV opens and releases the pressurized intake charge. The COBB XLE BOV can be adjusted by loosening the locknut and turning the hex-head shaft clockwise for more preload or counter-clockwise for less preload. Once preload is set, the locknut is retightened and ensures the adjustment is secure. Materials used to construct the COBB XLE BOV ensure ease of maintenance and long service life. The mounting flange, body, vent cover and piston are constructed of 6061 T6 aluminum, the spring seat is made from 303 stainless steel and the primary outlet is polished cast aluminum. O rings are used around the piston and on the mounting flange to ensure optimal sealing. The valve body is hard anodized for strength and corrosion resistance. The piston is dry filmed lubricated, providing enduring maintenance free service. The COBB XLE BOV is a limited edition piece and will not be available for long. All of the following part numbers for factory forced induction vehicles are going from $695 to $595. All of the following part numbers for factory normally aspirated vehicles are going from $695 to $495. The GT-R AccessPORT is not changing; it will remain at $995. COBB Tuning announces the immediate availability of the COBB Knob, the hottest shift knob available for 8th gen Honda Civic Si. The COBB Knob is a fusion of the highest quality materials that, when properly mated, produce a shift knob that feels as good as it looks. Shifting a Honda has never been this exciting!